Can you believe that next weekend marks 10 years since Peppa Pig was first aired on Nick Jr, I was honestly shocked, just doesn't seem possible. To mark this major mile stone, Nick Jr want their Peppa Pig fans to get involved with the celebrations by creating their own Oinkestras. Parents can upload videos either to nickjr.co.uk or on to their facebook page and as a thank you, they will receive a Peppa Pig activity pack and your little ones may even see themselves on Nick Jr oinking along to that much loved theme tune!! We received a goodie box filled with instruments, crafts and party pieces to help us with our performance. 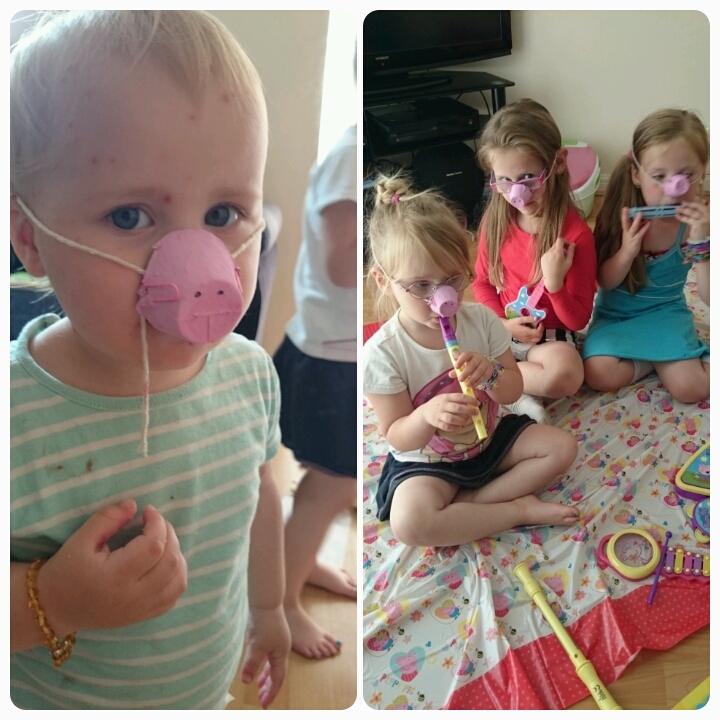 First we had to make our Peppa Pig noses…..
Then onto making some sweet, sweet music, I think they were coming up with an alternative theme tune perhaps? The celebrations don't end there though. On the 5th and 6th July your children will be able to watch the Top 20 Peppa Pig episodes as voted by the fans themselves. Remember to tune in to Nick Jr from 10.30am - 5.00pm both days. I've already set the reminder on our Sky+. 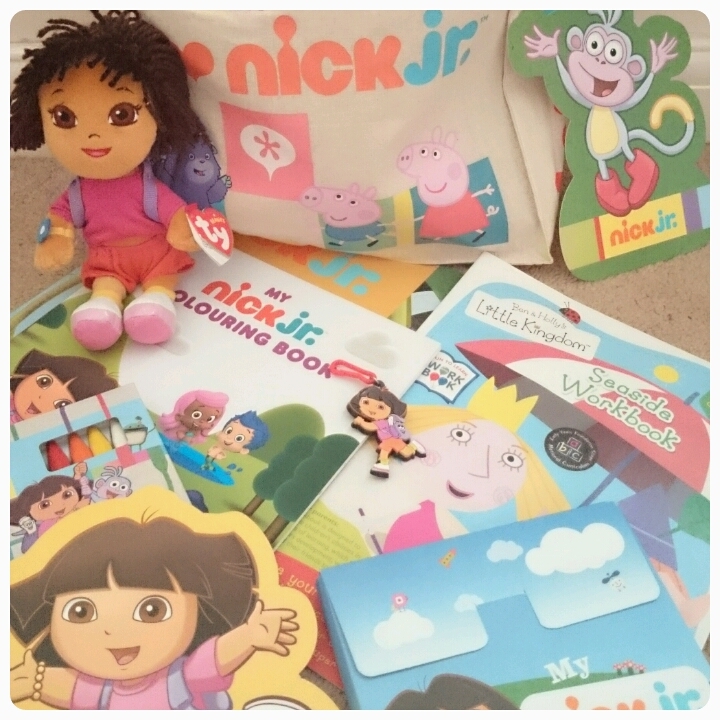 And if that wasn't enough, you now have the chance of winning one of three amazing goodie bags like the one pictured below, filled with lots of Nick Jr items including crayons, colouring books, cuddy toy and key ring. To have a chance of winning, you just need to fill out the rafflecopter form below. The giveaway is open to UK residents only and will run until 11.59pm on the 6th July 2014. Peppa or ben and holly, I think she'd struggle to choose! Pepper pig with eldest grandson and Pepper pig with youngest. My 4 years old's fave is Team Umizoomi or Paw Patrol! 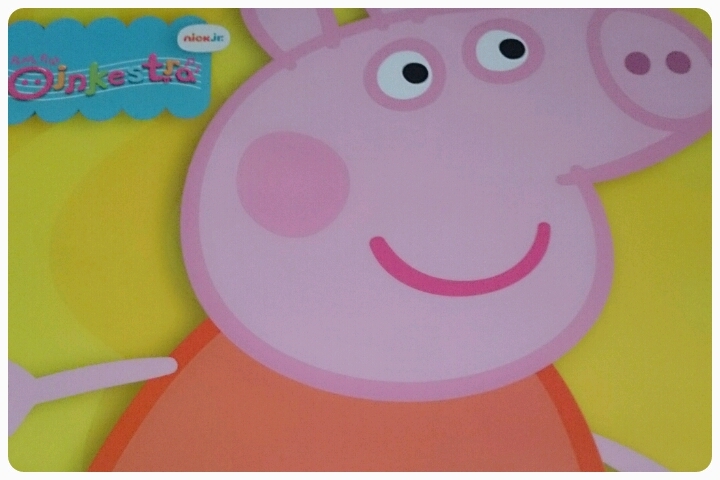 Peppa Pig and Ben and Holly! My little lady loves Peppa Pig. I just asked and was told Peppa pig and Dora the explorer. B loves Dora the Explorer!